close up of the "j"
Wanting to use up as much of the fabric as possible, I randomly sewed up whatever was leftover from making the quilt top and borders for my cousin's quilt. 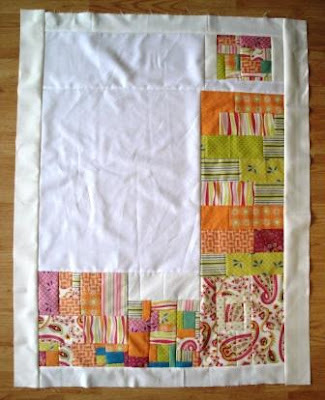 Lo and behold that the pieces so cooperatively configured themselves into a "j" for the quilt backing. How convenient. 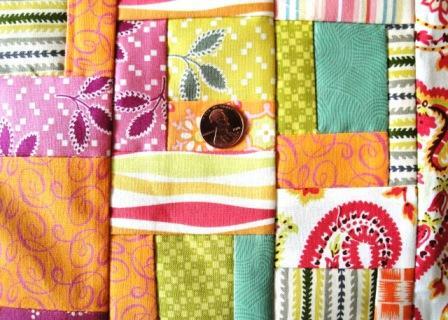 The quilt top is a lot of fun, but in this case, the quilt back promises to be even better.